To book a private party, please review all of the options then fill out the form at the bottom of the page. Macaroni's spacious and inviting dining room is a perfect setting to host a memorable event. It offers a private dining experience, ideal for surprise celebrations, business meetings or intimate dining gatherings. The Bar & Lounge surrounds the main bar at Macaroni's. High tables provide an ideal seating for a cocktail style gathering or boisterous celebration. A communal table in the back of the lounge offers space for business presentation and demonstrations. submitting the Private Party Form below. 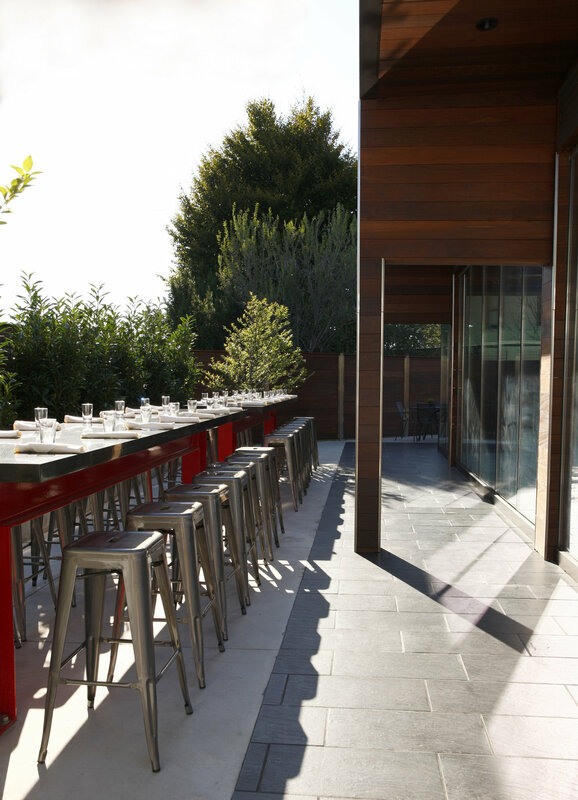 The glass - enclosed bar at P_Square provides all around view of our beautiful outdoor space. Two 20 foot sliding doors allow for an outdoor feel. 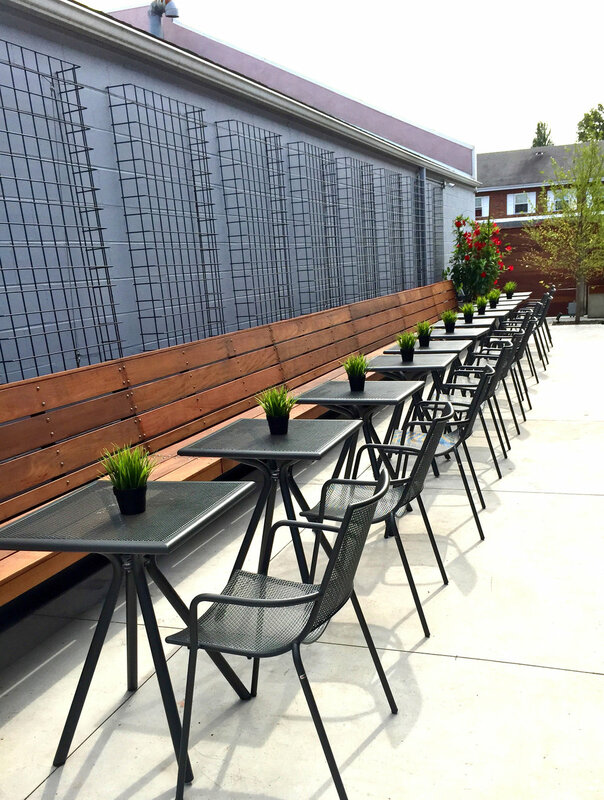 A semi-private area with two large tables overlooking the bar. Each table can seat a maximum of 14 guests. The dreamy outdoor lounge at P SQUARE invites guests to dine under an illuminated setting. The Bench is the social center of the dining area. We invite guests to share a communal experience at a table with a perfect view of the surrounding spaces. Thank you! We will get back to you shortly to let you know if we are available for the date you are interested in and to answer any questions you may have.